Are you a fan of Amy's Organics products? 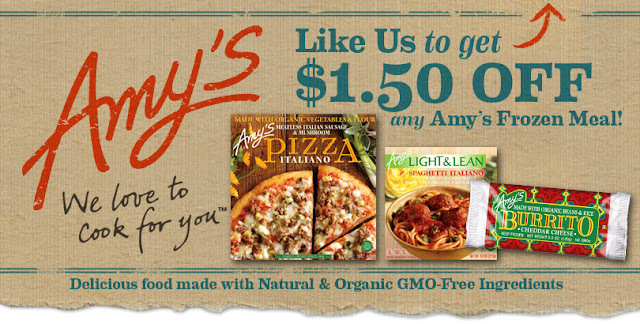 If so, head over and like their Facebook page and you'll be able to grab a printable coupon for $1.50 off any Amy's Frozen Meal! Offer expires May 31, 2013. The coupon will expire June 30, 2013.